EURAXESS India links researchers in India with Europe. Free information and events on research funding, research careers and collaboration opportunities. EURAXESS India has been serving researchers in all fields interested in a research career in Europe since 2011.
sign up and become a member for free! Stay up to date with our EURAXESS India Newsletter. Read our quarterly country briefings, hot topics, in focus interviews in the realm of research and innovation. Browse old issues or read the most recent ones! The 6th EURAXESS Science Slammer has been selected! Find out more about Prabahan Chakraborty from Bangalore! The 6th live finals of the EURAXESS Science Slam India 2018 was organised in partnership with India Bioscience, Alliance française Bangalore, NMIMS, Embassy of France with the support of Global Innovation and Technology Alliance (GITA) and Indo-German Science & Technology Centre (IGSTC) on 17 November 2018 in Bengaluru. Browse our database and create personalised alerts for funding: hundreds of support schemes for research cooperation and mobility between India and Europe are available! Through our jobs portal, find the job offer to continue your career in research! 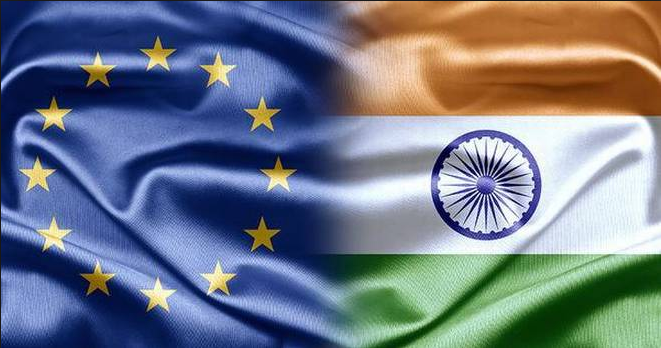 Research and innovation form an essential cornerstone of the EU-India strategic partnership. In forty years, EU and India cooperation has matured from pure scientific collaboration to a meaningful research and innovation partnership. How much funding India received in FP7 and H2020? Stay up to date with our EURAXESS India Newsletter. Read our country briefings, hot topics, in focus interviews in the realm of research and innovation. Receive information related to research mobility, cooperation, funding, jobs, and more. Browse old issues or read the most recent ones! EURAXESS - Researchers in Motion is an initiative of the European Research Area (ERA) that addresses barriers to the mobility of researchers and seeks to enhance their career development. This pan-European effort is currently supported by over 40 countries, of which we will profile one in each of our quarterly EURAXESS India e-newsletters. EU Insights is a collection of practical articles - for anyone interested in Horizon 2020 - covering topics related to researcher mobility, European R&I developments and policies in the European Union. These EU Insights were originally published in the monthly Newsletters of each EURAXESS Links country/hub until December 2015. They are available for download and reading by clicking below. In most cases they will remain valid until December 2020 (2014-2020). Browse useful information we collected for you. Find out more about Horizon 2020, the biggest EU funding programme for research and innovation! 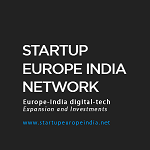 Keep yourself informed about current research collaboration between Europe and India. European Research Council: Supporting top researcher from anywhere in the world! In its first 10-year 6 ERC grantees have received a Nobel prize, 5 a Wolf prize and 4 a Field medal. The ERC will turn 10 in 2017. India is a partner country in Erasmus+. Indian institutions can join partnerships, individual Indian students can apply for Joint Master Degrees. Indian researchers can also indivudally apply for Jean Monnet Actions that foster study of European integration. Research and innovation form an essential cornerstone of the EU-India strategic partnership. In forty years, EU and India cooperation has matured from pure scientific collaboration to a meaningful research and innovation partnership. Engaging together in the fields of research, innovation and science offers many benefits and opportunities for both sides. Collaborations are underway to tackle global challenges like health, climate change, food security and clean energy supply among many others. 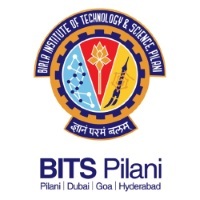 The “European Science, Technology and Innovation Platform in India” has been formed by a group of interested European public research organizations, funding agencies, and universities from France, Finland, Germany, Ireland, Scotland, Switzerland, the Netherlands and the UK as well as European and bilateral initiatives, which have a representation office in India. The Platform was one of the components under the EU funded INDIGO Policy project (ended in early 2017). Europe is a particularly attractive option with around 4,000 higher education institutions (HEIs) – many world-renowned and pioneers in education and research – and over 20 million students or one-fourth of the world in total. Among them, more than 1.5 million students every year come from outside of the EU, including 46,000 from India. European Higher Education Virtual Fair - EHEVF 2016 eBook, which contains sections on studying in each European Union Member State and on specific higher educational institutes attending the Virtual Fair, is a useful resource for students and researchers considering Europe for further studies or research work, as well as for Indian HEIs looking for European partners for Erasmus+ or MSCA project proposals. The European Higher Education Fair - EHEF India 2016 brought together over 100 exhibitors from 26 European Union Member States, with a total of 93 higher education institutions and 21 embassies and national agencies. The catalogue produced for the visitors can be useful for any student, researcher or higher education institutions interested in an experience in Europe or a collaboration with European HEIs. European Personnel Selection Office (EPSO): EU institutions and bodies. EuroBrussels: the European Affairs Jobsite. DevNetJobsIndia: Development Jobs and Consulting Opportunities in India. From Master degree to advanced stages of career, the European Union funds outstanding researchers from all over the world to develop their potential in Europe. In order to start your research carreer in Europe successfully, we have launched a Intercultural Assistant Tool for Researchers. Find more info here and soon on the EURAXESS Job Portal. We promote researcher mobility and cooperation. We serve researchers of all nationalities, all disciplines and at all career stages. The membership is free! Our community has more than 4000 researchers, managers and students who are interested in Indo-European collaborations. Researchers in any field (it includes social sciences and humanities) present their research in a competition in front of an audience of non-specialists using any medium. The winner is selected by the audience on the presentation quality, but also the entertaining value of their performance! EURAXESS India planned events in 2019 - Stay tuned regularly visiting our website! Additionally we will be offering EURAXESS Info Sessions or Days accross the country on request. It is possible to invite EURAXESS India country representative to universities, research institutes and companies in India, either as a stand-alone session (EURAXESS Info Session or EURAXESS Info Day) or during a larger event. Watch here an example of EURAXESS Info Session (before the new Portal was launched) at the National Centre for Biological Sciences (NCBS) in Bangalore organised with the support of IndiaBioscience. The country representative can present cooperation and career opportunities with Europe, including those with the European Research Council (ERC) and Marie-Skłodowska Curie Actions (MSCA), both funded by Horizon 2020-EU Framework Programme for Research and Innovation (2014-2020), and services provided by EURAXESS-Researchers in Motion. An update of relevant research and innovation events in India and Europe (scientific conferences, symposium, workshops, exhibitions, webinars…) is published in the EURAXESS India quarterly newsletter. Bengaluru I 2018 6th EURAXESS Science Slam India live finals with IndiaBioscience, Alliance française Bangalore, NMIMS, Embassy of France with the support of Global Innovation and Technology Alliance (GITA) and Indo-German Science & Technology Centre (IGSTC). Kolkata l 2017 5th EURAXESS Science Slam India live finals with GITA, IACS, IndiaBioscience and Finnair. Chennai | 2017 3rd Communicating Science Out of the Lab with Anna University, IndiaBioscience and TIFR Outreach. Ahmedabad | 2017 European Research Day 2017 - Advancing Your Research Career in Europe: Funding and Fellowship Opportunities for Indian Researchers with the EU Delegation to India. Hyderabad l 2016 4th EURAXESS Science Slam India live finals with BITS Pilani, IndiaBioscience, Nuffic Neso India-Study in Holland and Finnair. Bengaluru l 2016 2nd Communicating Science Out of the Lab with NIAS, IndiaBioscience and TIFR Outreach. New Delhi l 2016 European Research Council (ERC) President Prof. Jean-Pierre Bourguignon meeting researchers in India with the EU Delegation to India. Chandigarh | 2016 Advancing Your Research Career in Europe: Funding and Fellowship Opportunities for Indian Researchers with the EU Delegation to India. Bengaluru | 2015 3rd EURAXESS Science Slam India live finals with IISC, IndiaBioscience and Finnair. 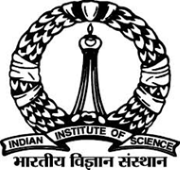 Mumbai | 2015 1st Communicating Science Out Of The Lab with TIFR. Kolkata | 2015 Advancing Your Research Career in Europe: Funding and Fellowship Opportunities for Indian Researchers with IACS and CRG. New Delhi | 2014 Impact of international staff on research institutions. Mumbai | 2014 2nd EURAXESS Science Slam India live finals with TIFR. New Delhi | 2014 Opportunities for Europe-India cooperation on Social Sciences and Humanities. Bangalore | 2013 Sketches of Science, co-organised with the EMBO-IndiaBioscience Young Scientist Networking Meeting. Pune | 2013 1st EURAXESS Science Slam India live finals with IISER Pune. New Delhi | 2013 First Event of the European Science Technology and Innovation Platform in India focusing on Public Private Partnership and Innovation. New Delhi | 2013 Lessons learnt from Indian partners involved in IRSES projects. EURAXESS India links researchers in India with Europe.